Mothers’ Rights FAQ: What do Mothers' Rights in Orange County California consist of? All mothers, and all parents, in California have certain rights and obligations when it comes to their children. These rights are usually in regard to child custody, and the obligations, child support. Although historically, it is generally assumed that the mother will have custody of her children and the father will pay child support, these outdated views are not supported by California law. The most important factors in determining child custody and child support in California are the child’s health, safety, and wellbeing, which make up a California legal standard known as the child’s best interest. A mother’s rights are the same as a father’s rights, and are based on the child’s best interests. 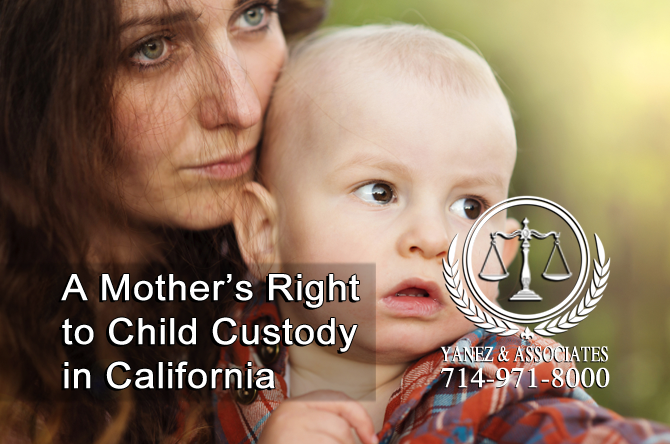 As a Mother, what are my rights when it comes to Child Custody in California? All parents in California have a right to custody of their children, as long as the custody and parenting plan is in the child’s best interest. A mother does not have any more right to custody of a child than a father under the law. There are two kinds of custody in California: legal custody and physical custody. Physical custody is the part of custody and parenting plan that deals with a child’s physical location. These terms discuss where a child will spend his or her time, where the child will live, and when the child will spend time with each parent. Legal custody, on the other hand, is the part of custody and parenting plan that deals with other decisions about a child’s life. When awarded legal custody of a child, a parent has the right to make decisions about the child’s physical and mental health, education, travel, and other decisions about the child’s well being. As a mother, you may have the right to both physical and legal custody, depending on your child’s best interests. It is always best to show the court that you can put your child’s needs first, and to work with an attorney who can help you build your case. Both physical and legal custody may be granted either solely to one parent, or jointly to both parents. A mother has no more or less of a right in California to custody than a father. A mother may have the right to sole physical custody of her child, if it is determined that this would be in the child’s best interests. This would mean that the child would live with the mother instead of his or her other parent. There are several reasons why sole physical custody may be granted to the mother. For example, if there is no existing relationship between the child and the other parent, it is generally in the child’s best interest to live with the parent with whom he or she has a relationship. If the child’s father does not act in the child’s best interest, whether it is by exposing the child to drug and alcohol abuse or by consistently failing to get the child to school on time, it may be in the child’s best interest for the mother to have sole custody. If the mother and father live too far apart for joint custody to be a realistic option, either parent may be granted sole custody. In the case that the father is granted sole physical custody, a mother has the right to apply for visitation with the child. This scenario would mean that the child would live with the father, but that the mother would have the right to spend some time with the child, according to a visitation order. A mother has the right to apply for visitation with her child. Physical custody may also be granted jointly to both parents. This would mean that the child would spend nearly equal amounts of time with both parents. Usually, it is in the child’s best interest to nurture relationships with both parents, so the courts tend to favor joint physical custody if it is in the child’s best interest and if it is possible under the parents’ current situation. If, as a mother, you are facing issues with your child’s other parent violating the child custody order that you have in place, you do have the right to enforce your custody order through the courts. Unfortunately, child custody orders are one of the most often violated court orders, and some of the least often enforced. It is important to remember that mothers do have the right to enforce custody orders. Always keep an accurate record of any and all violations of your child custody order. It may come in handy to keep a calendar just for child custody plans, where you can also record any violations of the order. The first time a custody order has been violated, try to work it out with the other parent. If this does not work, you can contact your local police department and ask them to enforce it for you. If you are worried that your child has been abducted by his or her other parent, contact your district attorney and ask for the Child Abduction Unit. Usually, filing a motion for contempt of court is a last resort, because it results in the harshest consequences. You should discuss this option with an attorney if your child’s other parent is not following the custody order and you have already taken other actions. Legal custody, like physical custody, can be granted either jointly to both parents, or solely to one parent. As a mother, you have the right to legal custody of your child. Usually, joint legal custody can be granted only in situations where parents are on good terms and have good communication skills, because only under these circumstances can they work out the decisions they will need to make together. However, a mother also has as much of a right to custody of her child as a father. It is important to show that you can put your child’s needs first. The court is more likely to grant legal custody to a parent who can put the child’s best interests before his or her own. If a mother has legal custody she has the right to make decisions on behalf of her child. If the other parent goes against her decisions, she has the right to enforce the custody order in court. It may be slightly more difficult to enforce a legal custody order than a physical custody order, but it is important to keep a record of all violations. 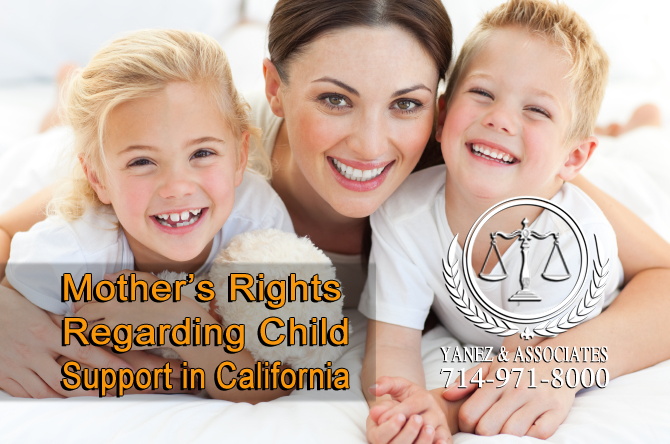 What are my Mother’s Rights Regarding Child Support in Irvine, California? Every child in California has the right to receive financial support from both parents. This means that a mother is legally obligated to support her child financially according to the California child support guidelines. Part of the guidelines consider the amount of time that the child spends with each parent, along with the financial needs of the child and the financial situation of both parents. A mother may have the right to receive child support, depending on the child support order issued by the courts. If, under the child support order, the mother is receiving child support, she does have the right to enforce that order under California law. This may allow a mother to collect back child support, in addition to interest, and to possibly bring charges against the parent who owes support, who may also face additional consequences. If a mother is obligated to pay child support, it does not give the father the right to live off of that support, or to become a stay-at-home dad and ask for more support. It is important to present accurate financial information and to work with a family attorney so that a mother can protect herself, her finances, and her parental rights. I need an Orange County Mother’s Rights Lawyer to explore my options. 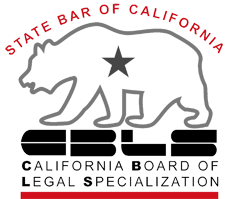 All parents in California have both legal rights and legal obligations regarding their children. A mother has the legal right to spend time with her children. This legal right can be enforced through a parenting plan and a child custody order. A mother also has the right to make decision about her child’s life, which may also be included in a child custody order. A mother also has the legal obligation to support her child financially. Sometimes, the strongest right a mother has is the right to enforce either a child custody or a child support order. Both orders are made in the best interests of a child, and it is always best for the mother to enforce and promote the child’s best interests. It is important to work with a child custody attorney when enforcing your rights as a mother. A lawyer can help you understand how the law applies to your case, and how you can use the law to protect your rights. If you are ready to speak with an attorney in Orange County, contact the lawyers at Yanez & Associates today to schedule your free initial consultation.